In other words, eliminate everything that’s non-essential. Simplify everything that remains. Automate what you can and delegate the rest. I’m a big fan of the automation step in particular. Tools like Zapier, IFTTT, Hazel and Alfred mean you can easily automate various parts of your business without paying a developer. Zapier, the swiss army knife of automation, is a fantastic app for linking together different tools and internet services. However, working out what to automate can be a bit like deciding what to paint on a blank canvas. Whenever I notice myself doing the same thing over and over, I try and find a way to automate the process. In a hope to inspire some ideas, in this post, I’ll share some ideas based on things I’ve automated in my business using Zapier (and I’m literally just scratching the surface). When I started consulting in early 2016, I decided to use Pipedrive as my go to sales CRM tool for tracking prospects and managing clients. The other tool I rely on heavily is Calendly. This is a scheduling tool where website visitors can book a time to chat with me to inquire about my consulting services. A prospect books a call in Calendly and inputs their name, email address, Skype username and phone number. They also answer a question about what kind of help they need from me. 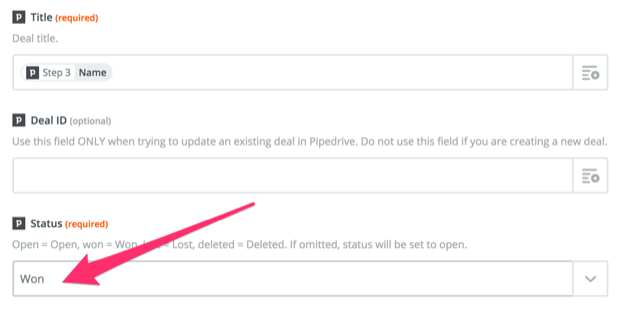 Zapier takes this information and creates a new deal in Pipedrive. The name is used for the client and deal name. The user's phone number, email and Skype username all get input into the client’s contact information. 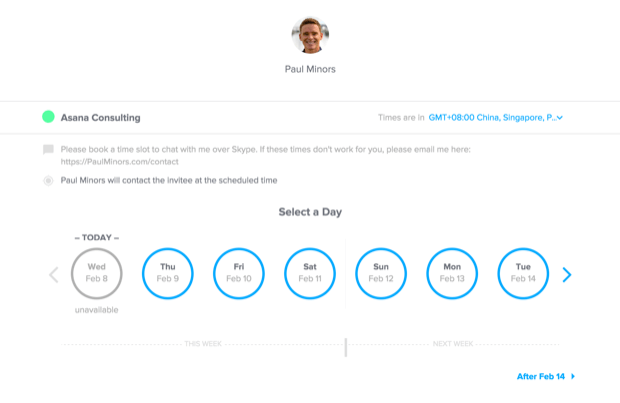 A “Skype call” activity is created in Pipedrive at the same time as the Calendly booking date/time. Information about the client's needs (based on the above question) is added to the deal as a note. A step that used to take at least 5-10 minutes before is now instantly automated in the background. If you work in freelancing or any kind of client facing business, perhaps there are some steps in your client onboarding and sales process that you can automate. Zapier watches for Stripe (payment processor) transactions that contain the word “consulting”. If the client makes their payment, the Pipedrive deal is marked as “Won”. Zapier then creates a new task in the “Sales” project of my Asana with the client's name as the task name. Asana is where I then manage tasks related to servicing the client (Pipedrive is more for tracking prospects through the sales process. Asana is where clients are managed one they’ve signed up). Because Zapier connects with Stripe, I’ve set up a really handy zap for contacting customers if their credit card gets declined. This zap is triggered when the Stripe transaction is marked as “declined”. Zapier then updates the customer's profile in MailChimp and sets a particular merge field to “declined”. This merge field update then triggers an automated email which lets the customer know that their card failed, they weren’t charged and can try PayPal instead. This is super handy for salvaging sales where cards get declined because let’s face it – the last thing you want is for a customer to make a decision to make a purchase and then get caught up right at the last minute. By setting up this zap I can instantly contact the customer and advise them to try PayPal instead. Copy the user’s email address from Mail.app. This triggers an Alfred workflow which creates a new text file in a special folder of Dropbox with the file name as the user’s email. As a little bonus, it also triggers a notification to confirm this action has taken place. Zapier is set to watch this folder and watch for files containing “@“. This new file triggers an automation where Zapier unsubscribes the user in MailChimp by searching for the file name (the user’s email) on my email list. You can read more about this process and see a video of the workflow in action in this blog post. I’m using a similar process to add new tasks to my Asana account. It’s pretty easy to create new tasks if you’re already in Asana. But what about when you’re working in a spreadsheet or other application? I wanted a quick way to create new tasks from anywhere. Fortunately, Zapier and Alfred can handle this. I type “task” and then the name of my task in Alfred. This triggers a workflow where Alfred creates a new text file in Dropbox with the naming convention “Task-[task name]”. Zapier is set to watch this folder in Dropbox and if a text file with the text “Task-“ appears, it triggers the zap. Zapier then creates a new task in Asana and assigns it to me. Finally, Hazel goes in after an hour to remove this text file from Dropbox and move it to the trash. On a side note, I’m sure there’s a smarter way to set this up in Alfred using some code but seeing as I’m not a programmer, this was the solution I came up with (and is exactly why Zapier is so great). And there you have it. There are some basic automations I’m using to automate tedious processes. Hopefully, this inspires some ideas. If you have some cool automations that you use in your workflow, please comment below and share!